A real review of Top Spin 4 Plus a chance to win a free copy! Enter to win a FREE copy of Top Spin 4, for your xbox 360, PS3, or Wii! See the end of this review for entry details. If you have ever owned any version of Microsoft’s Xobox gaming console, you have probably played, heard of, or seen the popular tennis video game Top Spin (versions 1, 2, 3, and four). 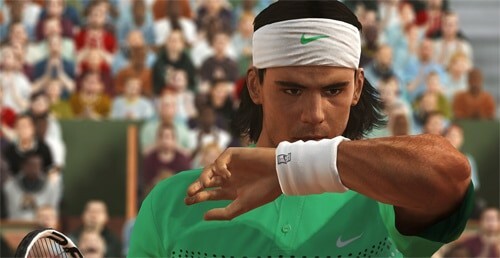 It really is a special series of video games for us, the tennis die hards. I was lucky enough to receive a copy of the fourth installment of the Top Spin series. After I received it, I immediately turned on the old xbox 360 and launched the game. After doing all the configurations and boring loading stuff, the fun began. I was offered a few tutorials of game play, controls, and all that good stuff; though I opted out for it since I had already mastered the previous versions of the game – what I mean by mastered is reached #1 in the world in the Top Spin rankings. Instead of going through the motions of testing out the historic players – Agassi, Lendl, Rafter, Borg, Becker, and of course Sampra – I went ahead and started my own Top Spin 4 tennis career. The whole setup was a little lengthy, you know, had to make my tennis avatar look somewhat like me and pick out the right equipment (thoughts on available tennis equipment in a few), clothing, and tennis shoes. When I finished doing all the cosmetic stuff, I was ready to play the game! As soon as I got into my “Tennis Player Section” I learned that I had received a tennis coach; that coach had objectives for me to gain Experience Points. There was also the option to train and get more of those points. I started right away with a friendly match. Let me tell you, the controls with this game are extremely easy to master, flat, slice, top spin, and lob shots were easily accessible and didn’t require much thought or timing. I did notice though, when I hit the ball early there would be a flash of text next to my avatar “Too Soon”, “Too Late”, “Good”, and “Perfect”. The only difference I found between all the variations of contact was when I hit is ‘perfect’ the ball seem to go much faster, however; any of the other contact points all seemed to play the same amount of speed. 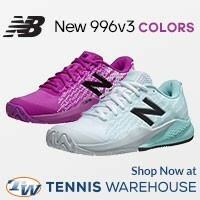 So I don’t know if it really makes a big difference in the virtual tennis world. One of the coolest game play features was the inside-out forehand. When performed correctly, the IOF does play realistically, curving away from you and it when you feel that vibration in the controller you can pretty much count on it being a winner. There are also some pretty neat serve varieties, though the angles are kind of hard to hit, even down the T. There is something about the ‘risky’ serve and directing it that don’t jive well. It will go wide or long 6 out of 10 times, and the other 4 remaining serves will go right into the center of the service box allowing an easy return. Since this is a video game, there are some very unrealistic parts of the game. For example; if you are having a angled cross court exchange and all the sudden you decide to change direction and you blast a heavy forehand down the line, somehow the computer player will start to move to the ball, look like it’s going to not get it and all the sudden he’s there and hits a rocket down the line. Um, yeah, that doesn’t happen ever. Of course there are the usual weird glitches in most video games, but other than that the game plays extremely nicely. The best feature of Top Spin 4 is that it’s similar to real tennis. In real tennis you have to keep playing to get better and with TS4, the more you play the more Experience Points you get and the better you get. When you win, you get points, free gear, new coaches, trophies, and much more. To be honest, I haven’t spent as much time as I would have liked playing the game, after all, I have real tennis to play! To sum up this game, it’s pretty awesome! If you enjoy tennis at all and you have a gaming console, then you should get this game. 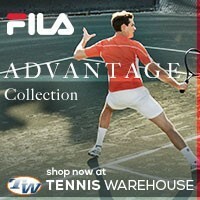 Build your character, play against your tennis favorites, go for your shots, and have fun! It’s a nice little break from reality. Pros: Building avatar, ease of play, it’s tennis, realistic looking characters, realistic settings, fun to play solo or against friends, climbing the ranks, playing against the greats, playing in actual stadiums, and so much more! Cons: Variety of tennis rackets, lack of string options, length of time it takes to get better, and opponent GETS. 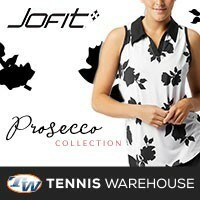 I give it a Tennisthis.com Two Thumbs Up! If you want to own your own copy, you can get one here. If you would like a free copy of Top Spin 4, just leave a comment with the console you prefer! 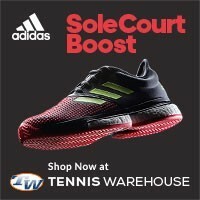 This contest will run until the end of the 2011 French Open (June 5th, 2011). You better hurry and enter to win – United States residence only. I’d like one for Xbox 360. I want a free copy for PS3! Thanks!